This content was produced by the Advertising Department of KOCO. One in 15 Americans will be diagnosed with lung cancer, but they have one of the lowest five-year survival rates of all cancer patients (at about 18 percent), according to the American Cancer Society and the American Lung Association. In fact, each year, more people die of lung cancer than of colon, breast, and prostate cancers combined, which makes lung cancer by far the deadliest for both men and women, reports the American Cancer Society. Lung cancer accounts for about 27 percent of all cancer deaths, according to the International Association for the Study of Lung Cancer. According to Cancer Treatment Centers of America (CTCA), lung cancer risk factors include age, genetics, and lifestyle. About two-thirds of lung cancers are diagnosed in people over age 65, and those with an immediate family member who has or had lung cancer, and who doesn’t or didn’t smoke are statistically prone to developing the disease, according to CTCA. Exposure to secondhand smoke, asbestos or other carcinogenic pollutants, and radon also plays a significant role, while Radon, a colorless, scentless radioactive gas found in homes, is a leading cause of lung cancer, reports CTCA. The disease proves so fatal primarily because lung cancer often goes undetected until reaching an advanced stage. The American Cancer Society says if lung cancer is found at an earlier stage when it is small and before it has spread, people have a better chance of living longer. Below are the seven early signs associated with lung cancer, according to Cancer Treatment Centers of America. Coughing. It’s a persistent cough that refuses to go away, or progresses into a chronic “smoker’s cough” that’s deeper and hoarser than usual. The cough may also cause pain. Coughing up blood. If you’re coughing up blood or rust-colored spit/phlegm, go see your doctor immediately. Breathing difficulties. If you have no other medical conditions, such as sickness or unexplained weight gain, and you’re experiencing shortness of breath, wheezing, or noisy breathing during normal activities, you should consider being tested for lung cancer. Loss of appetite. As with many cancers, you might experience unintended weight loss due to a loss of appetite. Fatigue. It’s common to feel excessively tired, especially when you’re having trouble breathing and not eating enough. Recurring infections. If you keep contracting lung-based infections, like bronchitis or pneumonia, lung cancer may be the root of your problem. Once lung cancer has advanced in stage, you may start seeing symptoms in other parts of your body. They may include bone pain; swelling of the face, arms, or neck; headaches; dizziness or limbs that become weak or numb; jaundice; and lumps in the neck or collarbone region. Time is one of the most important factors in lung cancer treatment. 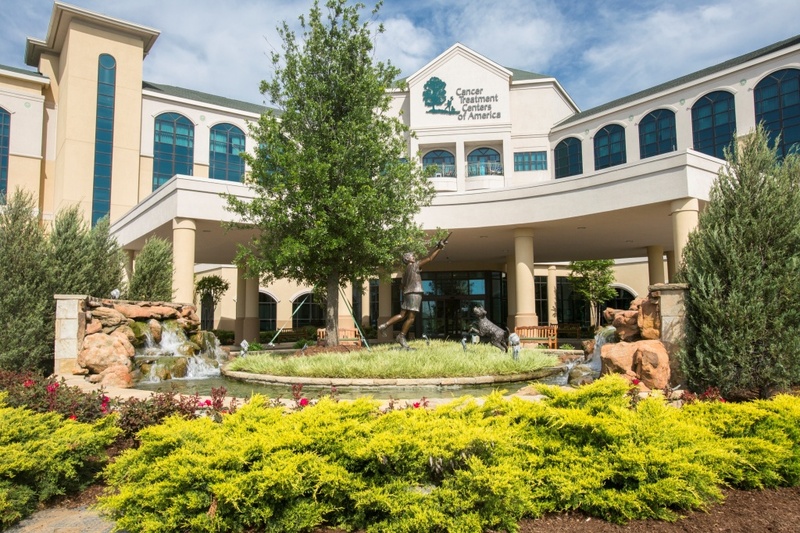 At the Lung Cancer Center at CTCA in Tulsa, your care—from diagnostics and consultations to treatments and follow-up visits—is delivered under one roof in a comprehensive care model, so you can undergo your treatment as quickly and efficiently as possible. “Our collaborative, multidisciplinary approach, combined with our access to state-of-the-art equipment and research trials, gives us the opportunity to present patients with as many options as possible for their care,” said Dr. Daniel Nader, Chief of Staff and Director, CTCA Lung Cancer Center in Tulsa. Nader, who leads Tulsa’s Lung Cancer Center, is a fellowship-trained, board-certified pulmonologist who has been recognized by Castle Connolly, U.S. News & World Report, and Oklahoma magazine as one of the nation’s top pulmonary and cancer doctors. 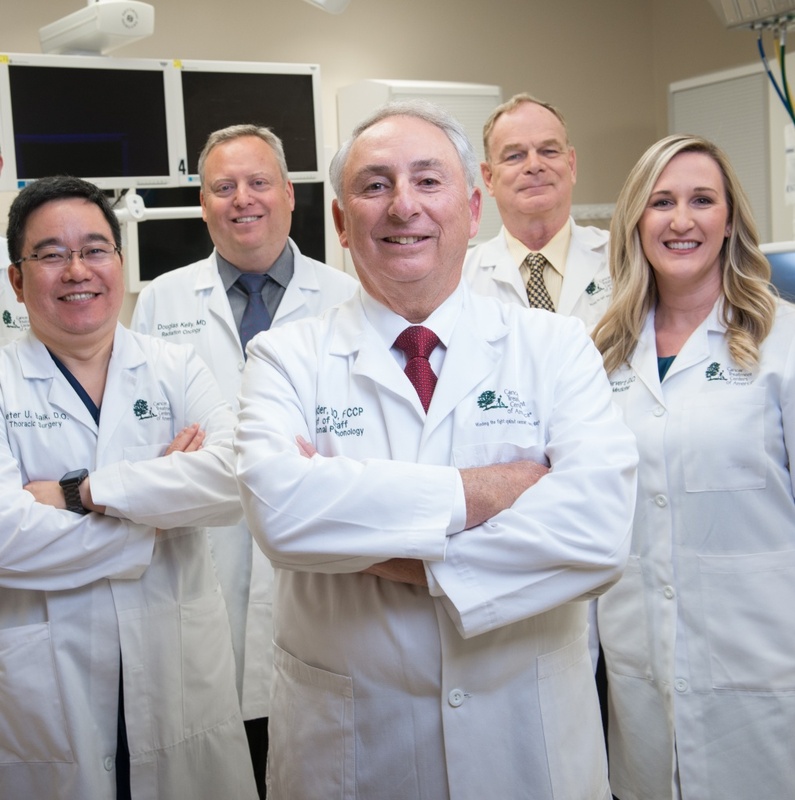 He and his wide-ranging team of lung cancer specialists work with patients to deliver personalized treatment tailored to their individual needs. When appropriate, care also can incorporate the newest emerging technologies, including genomic-based cancer care, immunotherapy, stereotactic body radiotherapy, brachytherapy, and photodynamic therapy. Care is also supplemented with evidence-informed supportive therapies to manage side effects to help patients continue to live their lives as normally as possible. 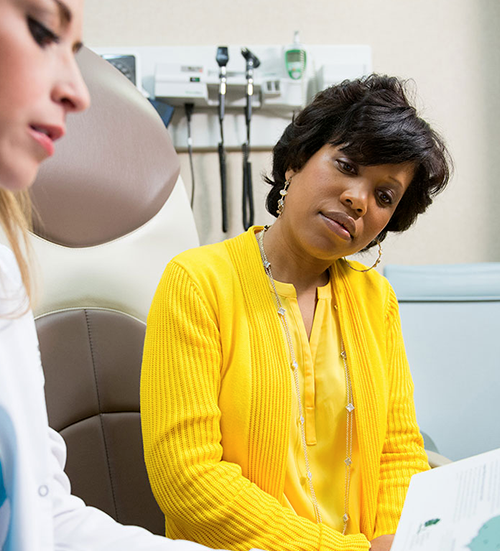 Patients on a 1–100 scale give CTCA an overall hospital rating of 96.1, the likelihood of recommending services a 97.1, and coordination of care among doctors and caregivers a 92.9. To learn more, visit CTCA Lung Cancer Center in Tulsa, call (888) 552-6760, or chat online with an Oncology Information Specialist.